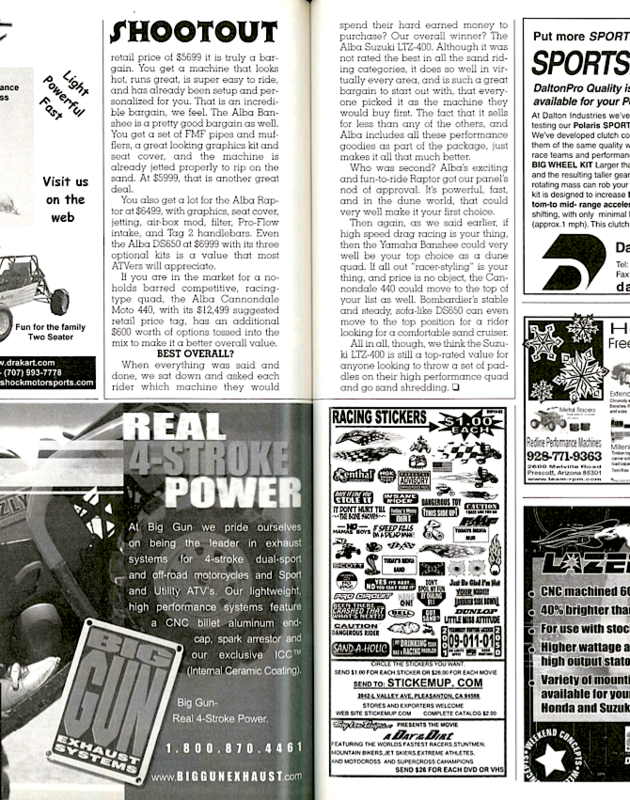 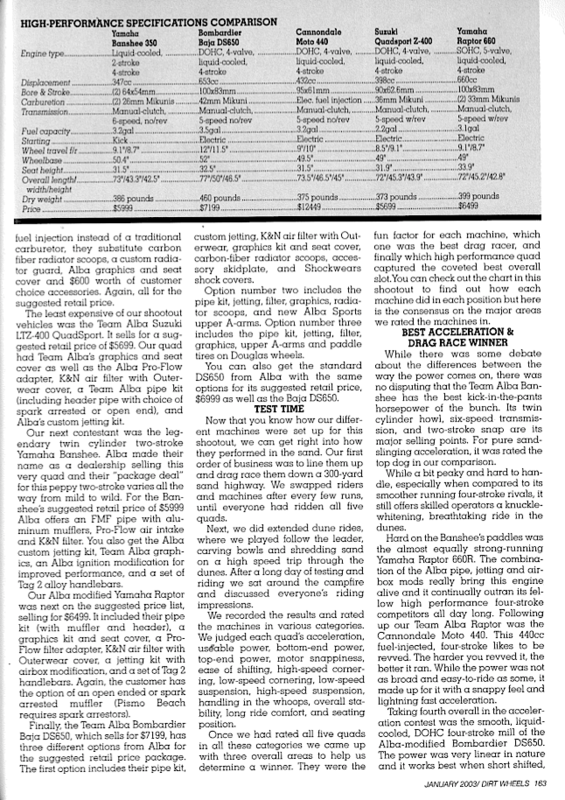 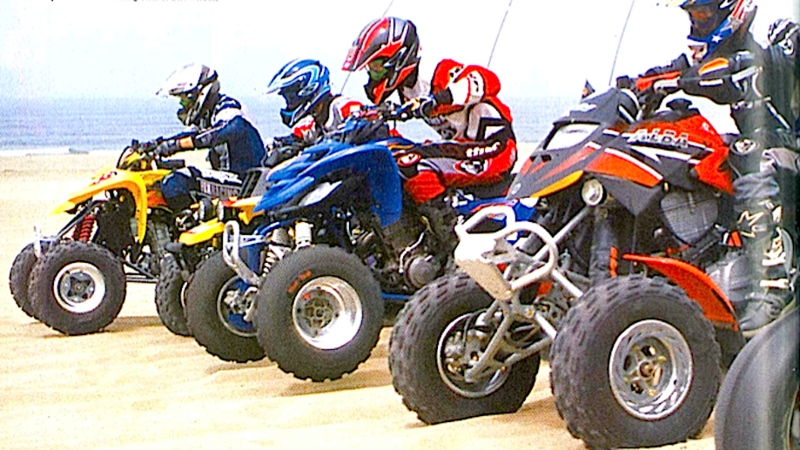 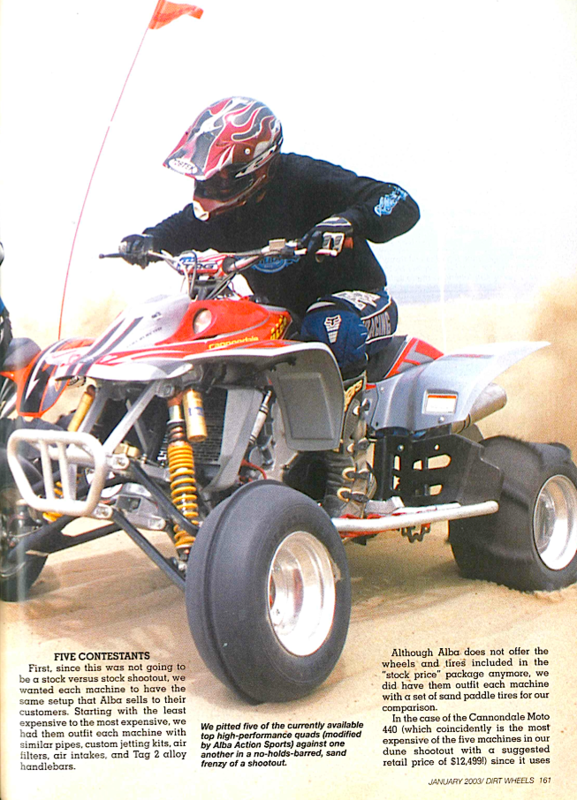 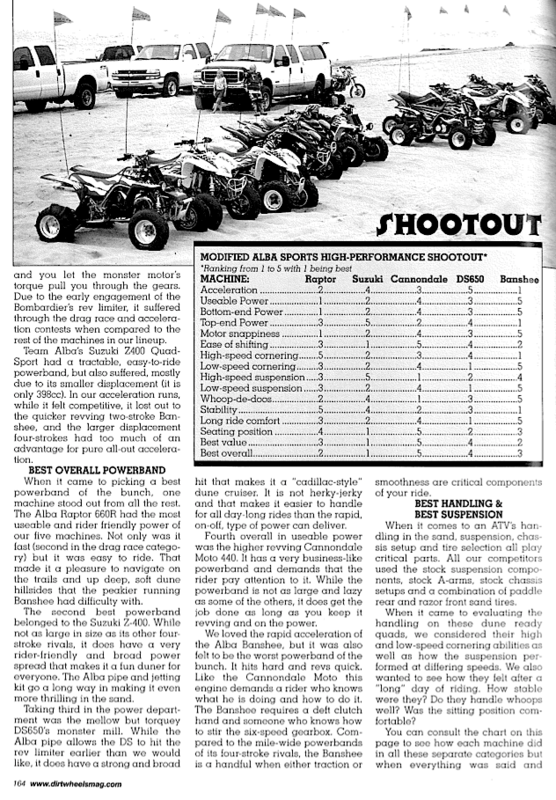 Since the first issue of Dirt Wheels back in 1980, the editors and test crew have done shootouts to see which ATV is best. 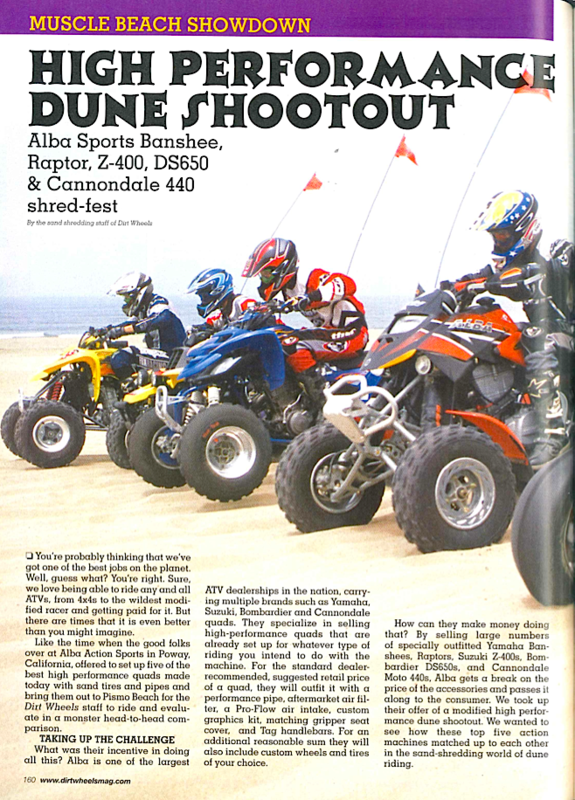 We did that again in the January 2003 issue. 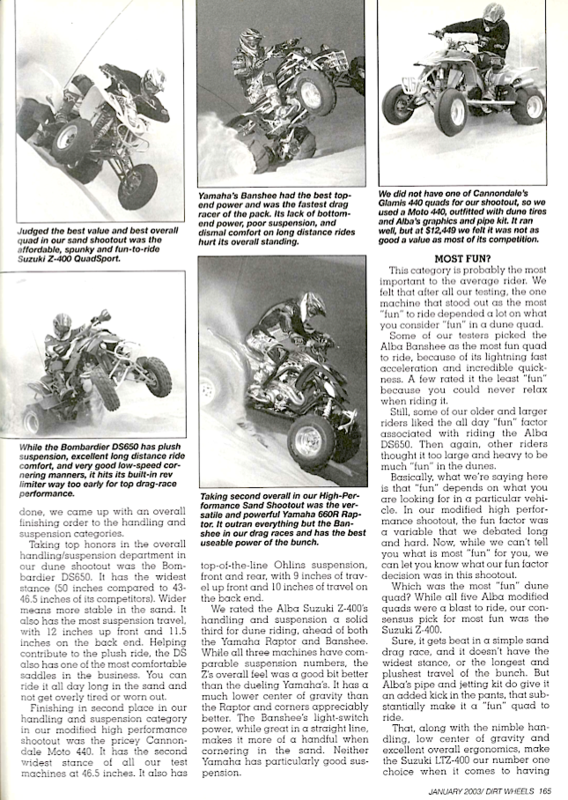 At that time the five fastest machines were Yamaha’s Raptor and Banshee, Suzuki’s Z400, Bombardier’s DS650 (Can-Am) and Cannondale’s 440. 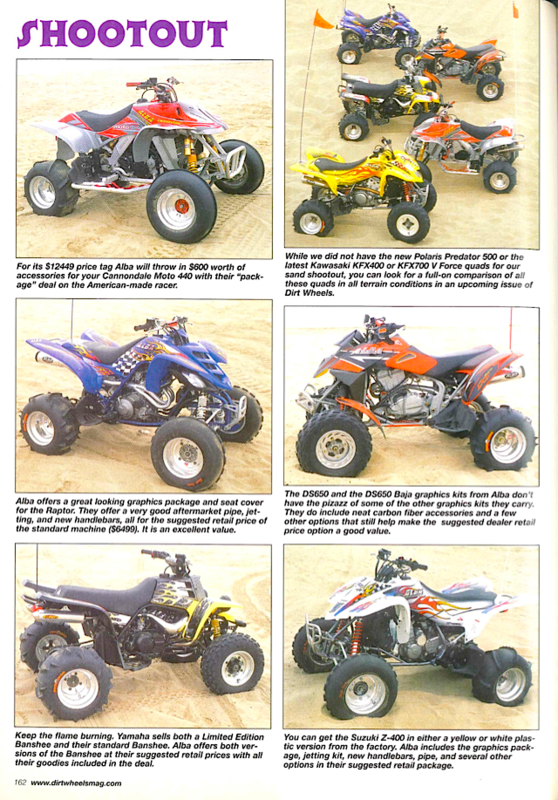 So, how did each one rate for power, handling and suspension? 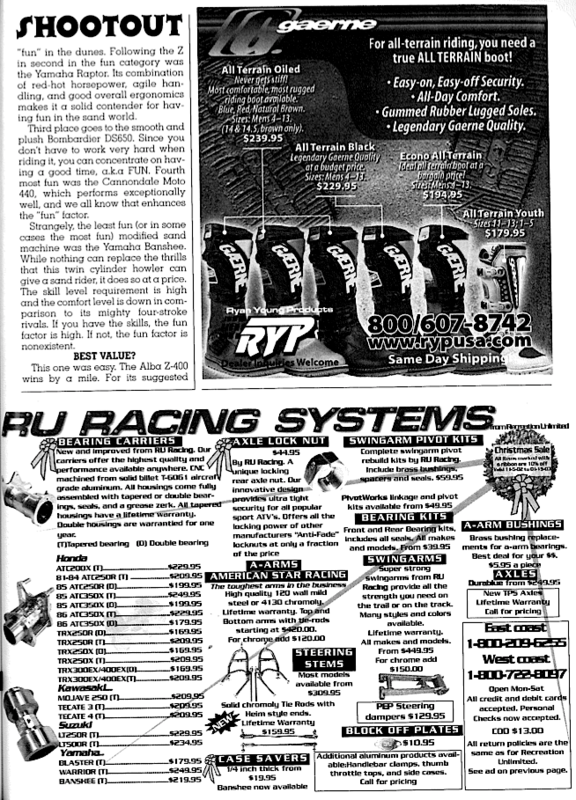 Well, you can find out by reading the article below as it originally appeared.